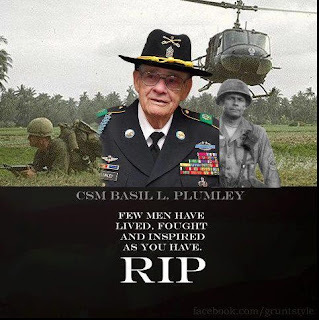 Sad news to hear that CSM Basil Plumley, Veteran of World War II, the Korean War and the Vietnam War passed away today in Columbus, Georgia. Plumley was immortalized for his role in the Battle of the Ia Drang Valley in 1965 in the movie "We Were Soldiers" and portrayed by actor Sam Elliot. 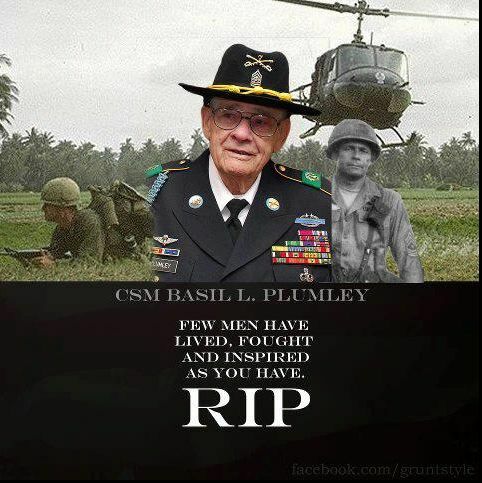 RIP CSM Plumley, until we meet in Fiddler's Green. Well Done, Sir. Just a "Bump in the Road?" Was Obama Sleeping During The Debate?